The admiration for the lion - the beginning of the Western civilization. The "Master of Animals" is considered strictly a symbolic /religious subject . Its origin is not clear. Its origin is not clear. Was it based on natural phenomena or was it a product of human imagination? 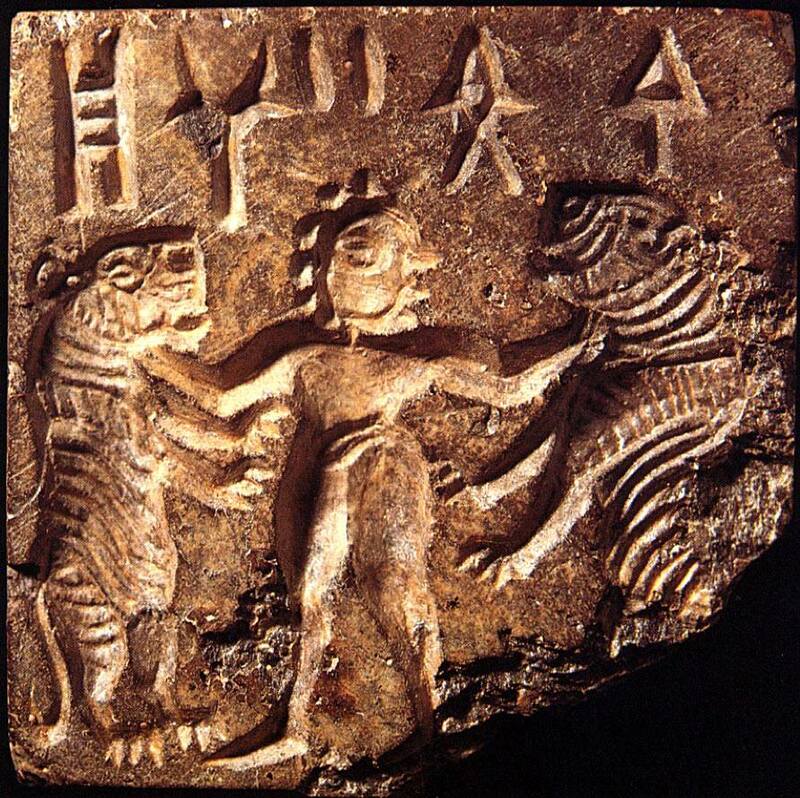 There are some ancient depictions of lions - which contain elements of the "Master of Animals" motif and at the same time they can be interpreted as depictions based on natural events The interpretations as "natural events" are not alternative interpretations but rather parallel alongside with symbolic/spiritual/religious ones. At least in terms of lions those depictions could be considered to be a connection between the "Master of Animals" and the natural phenomena which were base for its origin. Possible natural interpretation - daily life in rural community alongside Nile, depicting an attack of a coalition of man eating lions, a situation similar to the 19 Century Tsavo Man Eaters . Possible natural interpretation: Male lion coalition hunting on Nubian ibex. 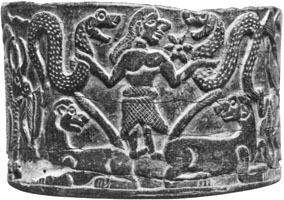 The Jiroft Rock weight . 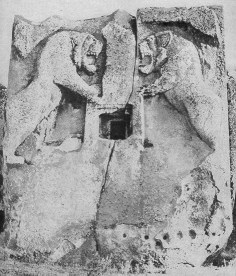 **The oldest depiction of two upright lions facing a man is considered to be the carving on the handle of the Gebel el Arak Knife. It is dated Naqada II, however the origin and consequently the dating of the knife are questionable. It is purchased from an antique dealer and consequently was assumed that it is from Abydos. Nevertheless the actual circumstances of its origin are unknown. As a style, craftsmanship and theme it is similar to artifacts dated Naqada III (both knifes and palettes). The scene seems to be strictly symbolic. 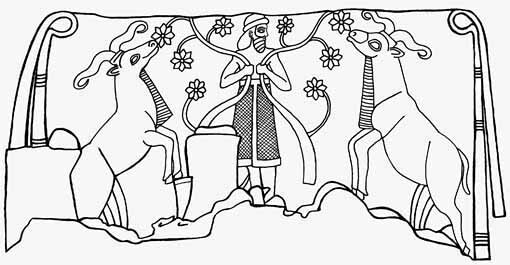 **** The Jiroft culture was postulated (defined) in the early 2000, based on confiscated artifacts associated with the city of Jiroft, Iran. The dating of it is questionable.